Fairy tales; Study and teaching; Juvenile literature. Point of view (Literature); Study and teaching; Juvenile literature. No Lie, Pigs (and Their Houses) Can Fly! | Trust Me, Hansel and Gretel Are Sweet! | Really, Rapunzel Needed a Haircut! | Seriously, Cinderella Is So Annoying! | Trust Me, Jack's Beanstalk Stinks! | Believe Me, Goldilocks Rocks! | Seriously, Snow White Was So Forgetful! 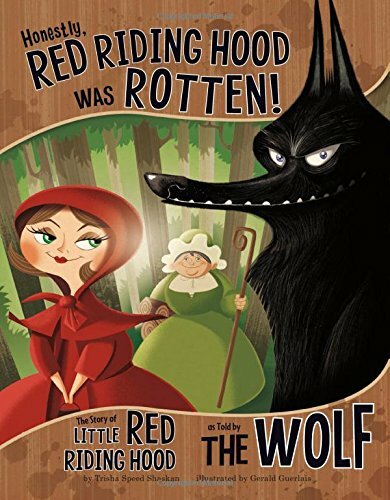 Amazon.com description: Product Description: Think the Big Bad Wolf did a horrible thing by eating Little Red Riding Hoodâs granny? Think again! In this fun, quirky picture book, discover another perspective of this popular fairy tale. About: Think the Big Bad Wolf did a horrible thing by eating Little Red Riding Hood’s granny? With Trisha Speed Shaskan, Eric Kocher | 4th edition from Perseus Books (October 1, 1993); titled "International Jobs: Where They Are and How to Get Them"